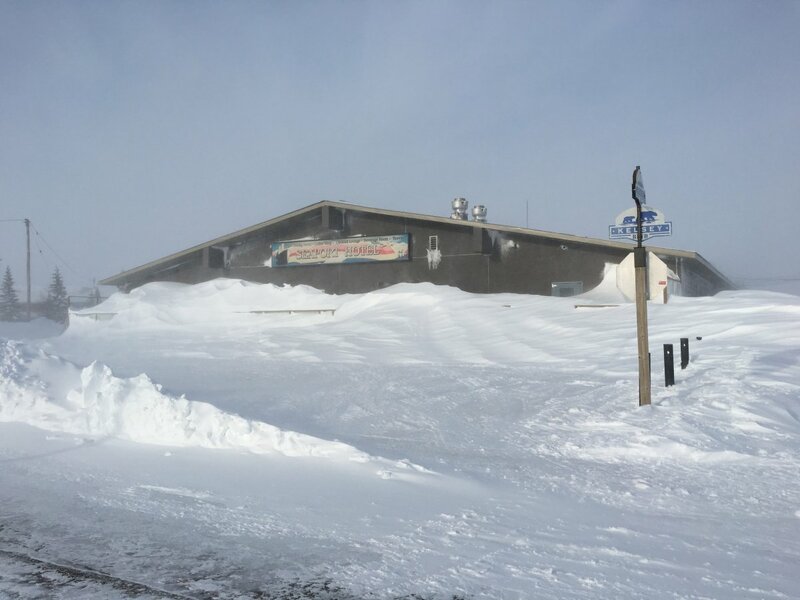 On March 6th, 2017 the snow in Churchill started to fall around 10am. And then it fell some more. And a lot more. 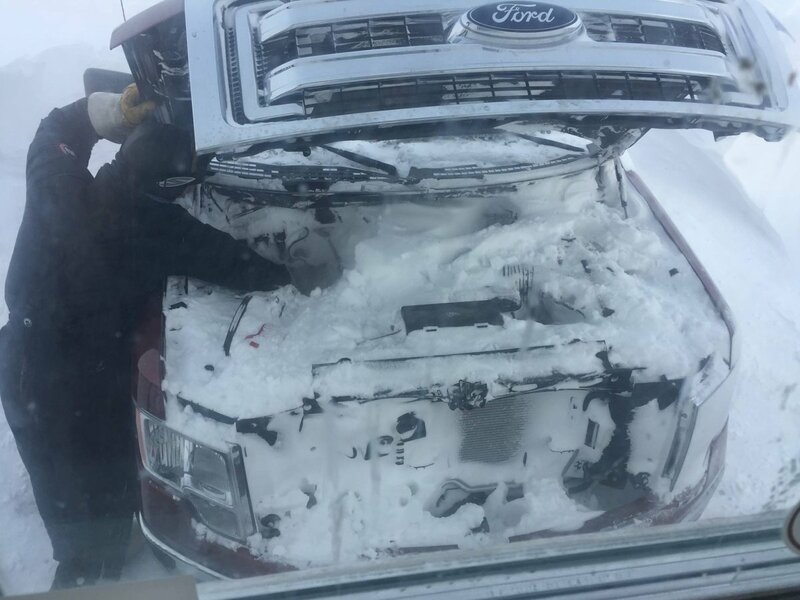 And it didn’t stop for three days. 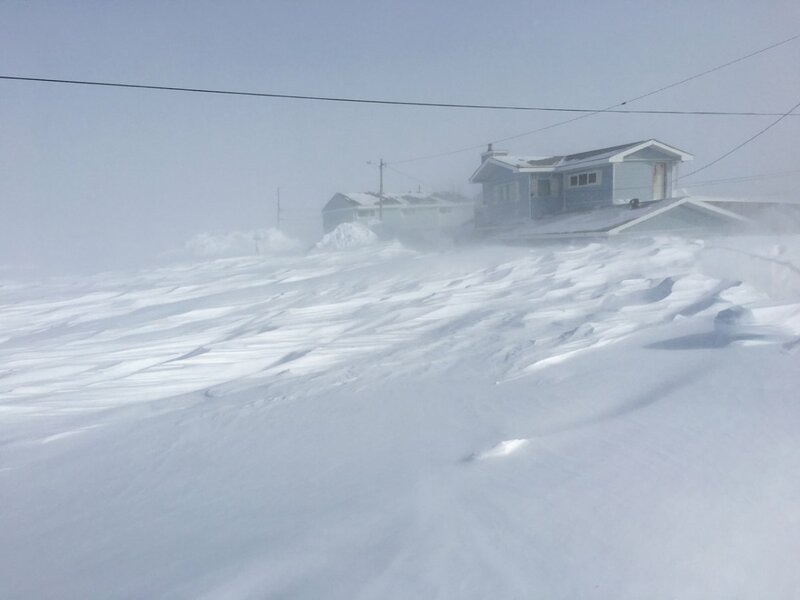 Churchill, situated on the coast of the Hudson Bay, is no stranger to cold winter weather. Residents of this town of 900 are known as hardy folk who love getting outdoors even on the coldest of days. 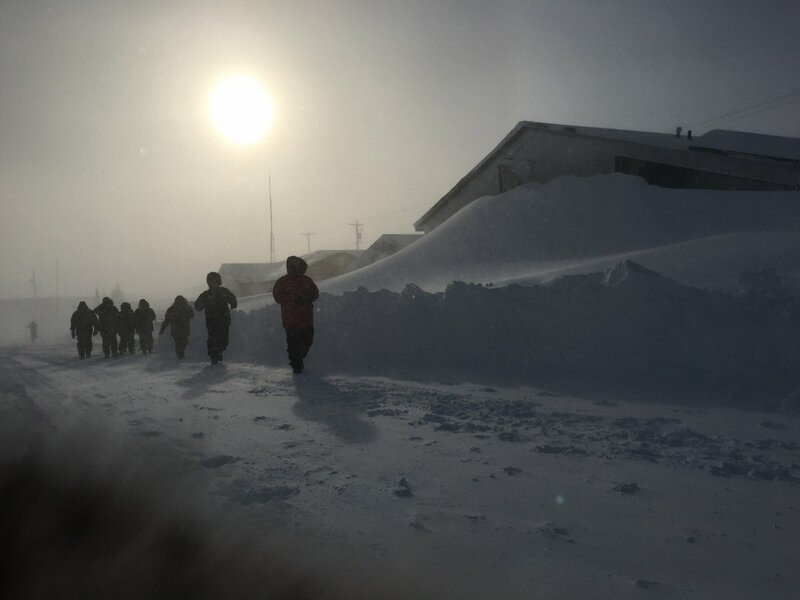 March in Churchill is generally a cold time of year. The average temperature during the month is around -20˚C (-4˚F) and it’s rare for wind to exceed 46 km/hour (29 mph). Normal precipitation for this time of year is roughly 18mm of snow. March 2017 however, has been anything but average. 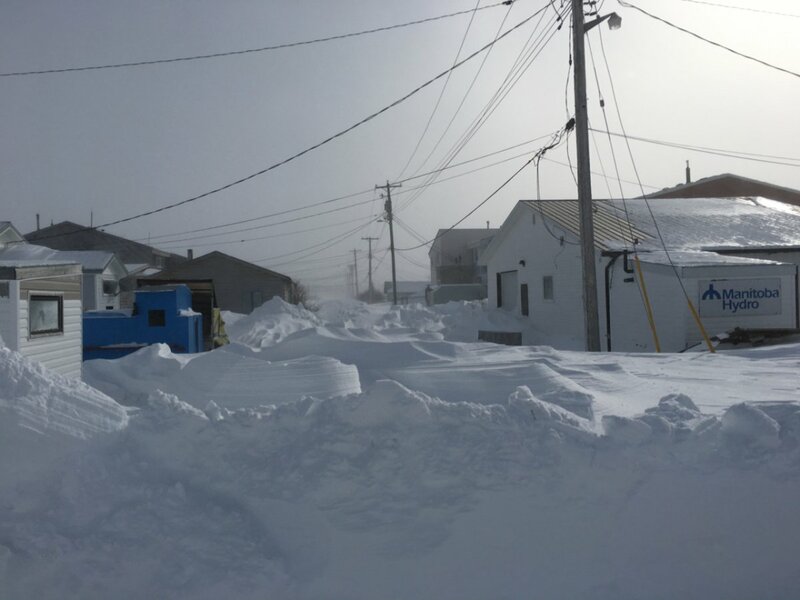 In a winter storm dubbed “a historic weather event” by media, the shops, restaurants and businesses of Churchill shut their doors and the town came to a standstill. The airport closed and the train stopped running. There was no one coming in and no one was leaving. 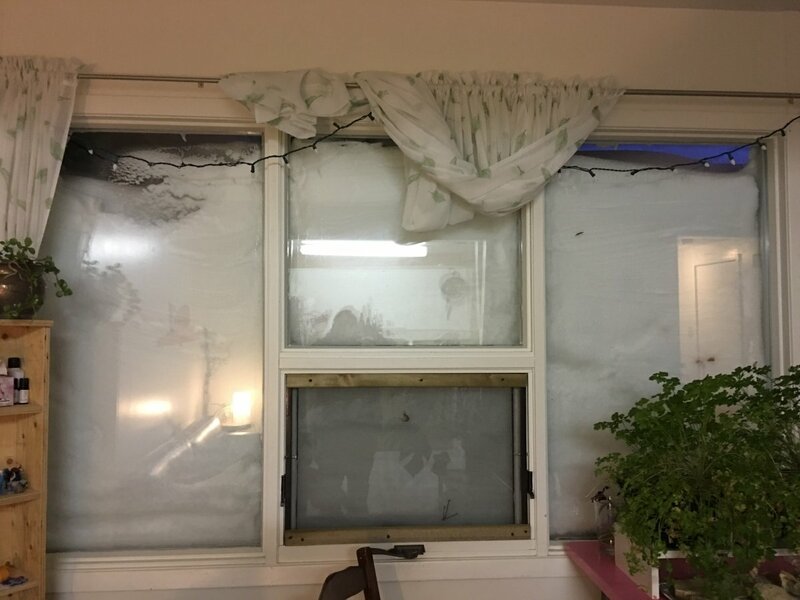 Over the three-day period, drifts of snow grew up to three stories high and winds reached 110 km/h (67mph). Daily averages over the days of the storm sat around -27˚C (-16.6˚F) with a wind chill of -48˚C (-54˚F). On Facebook, the “Churchill Online Bulletin Board”, a prime source of communication among residents here, was updated constantly with notices of business closures, flight and train cancellations, and town of Churchill services providing information and phone numbers to call for residents suffering from broken down furnaces and frozen sewer lines. But there were also lots of people offering to help dig each other out, light-hearted posts sharing pictures of doorways filled with snow, offerings of food sharing for those running out, and encouraging notices for people to “hang in there”. For us at Frontiers North this first week of March was going to be a busy one. Our culinary adventure RAW:churchill in celebration of Canada’s 150th birthday was scheduled to run March 3-11. We had groups of guests scheduled to fly up to Churchill to experience this unique pop-up restaurant set inside Prince of Wales Fort. And our last Northern Lights and Winter Nights tour was set to depart Winnipeg for Churchill on March 7 for what should have been four awe-inspiring nights of aurora viewing. Unfortunately the storm had other plans and forced us to cancel the tour and our remaining RAW:churchill seatings. It's never an easy decision to cancel our adventures, knowing that many of our guests have been looking forward to their trip-of-a-lifetime. However, this week, Mother Nature had other plans! So, as we dig ourselves out of our snow-covered Churchill residences, we are again reminded - life in the north is unpredictable, which is what makes it such an adventure to visit. Below are some images taken during this historic winter event by Frontiers North staff and Churchill residents. The Frontiers North staff house was fully snowed in until staff member Randy stopped by to dig them a tunnel. Photos: Jim Baldwin. Ready for an epic adventure into Canada's north? Check out our adventures.